This weekend, YouTube users discovered that the site's Restricted Mode blocks non-explicit LGBTQ videos, prompting plenty of criticism from its user base. According to Tegan and Sara, the function also blocks a number of their music videos when in use. In a series of tweets to the website, the Canadian twins said that "a bunch of our music videos disappear" when using the function, including the clip for "U-Turn" that has "nothing gay in it except us." The site has said that "the intention of Restricted Mode is to filter out mature content." "Looking forward to YouTube fixing this restricted content issue ASAP!" the two wrote on Twitter. "To our fellow LGBTQ content creators + LGBTQ friends MUCH LOVE TO U!" YouTube responded to the issue via Twitter, writing that "LGBTQ+ videos are available in Restricted Mode, but videos that discuss more sensitive subjects may not be." YouTube added that they "regret any confusion this has caused and are looking into your concerns." 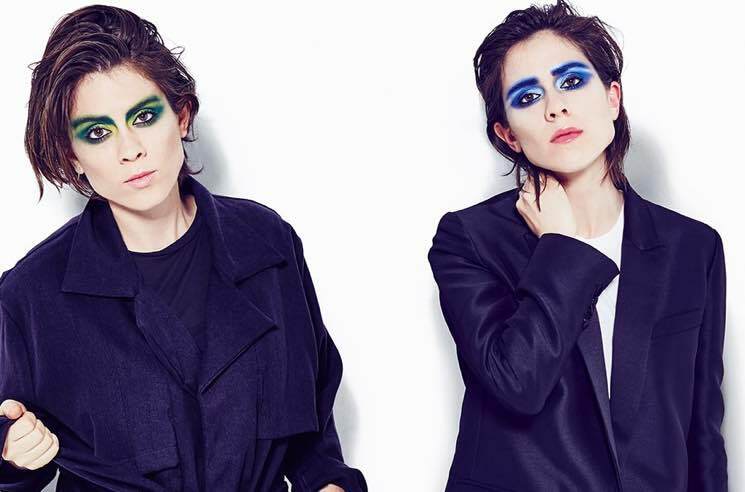 Read through Tegan and Sara's tweets below, where you'll also find YouTube's response.